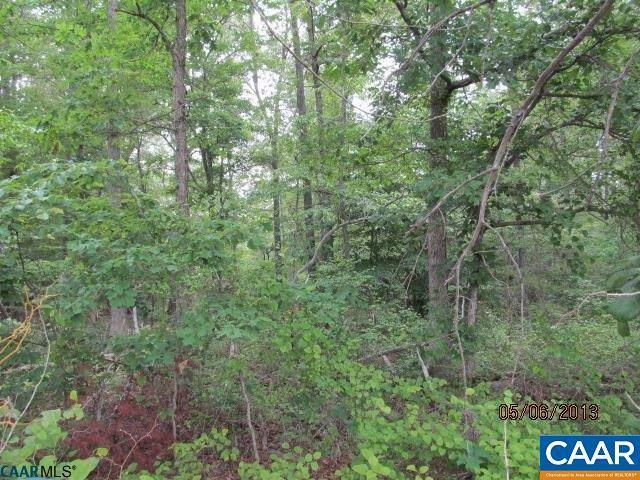 Create your wooded hideaway on this 5.3 acre parcel. Road frontage. No HOA. Well and septic means No Water Bills. Fiber optic high speed internet. Location is 15 minutes to Pantops and 10 minutes to Zion Crossroads. Part of the historic Hannum House Farm, a Fluvanna County dairy farm for many generations. Considering a new home? Bring your plan or ideas. We have great builders in the area - ready to serve. Possible seller finance on land purchase.